The beautiful city of Nashville, TN has a lot of titles—it’s the capital city of the state of Tennessee; it’s the home of two professional sports franchises, the Tennessee Titans and the Nashville Predators; and it’s also legendarily the home of country music, which is where the nickname “Music City” originated from. But above all that, the city of Nashville, at least in our opinion, is also the perfect place for just about anybody to one day call home. Packed with so much history, culture, cuisine, and of course the stunning natural beauty of Middle Tennessee, there’s a lot to fall in love with when living in Nashville, and The Holt Real Estate Group wants to be the first to show you what being a Nashville resident is all about. 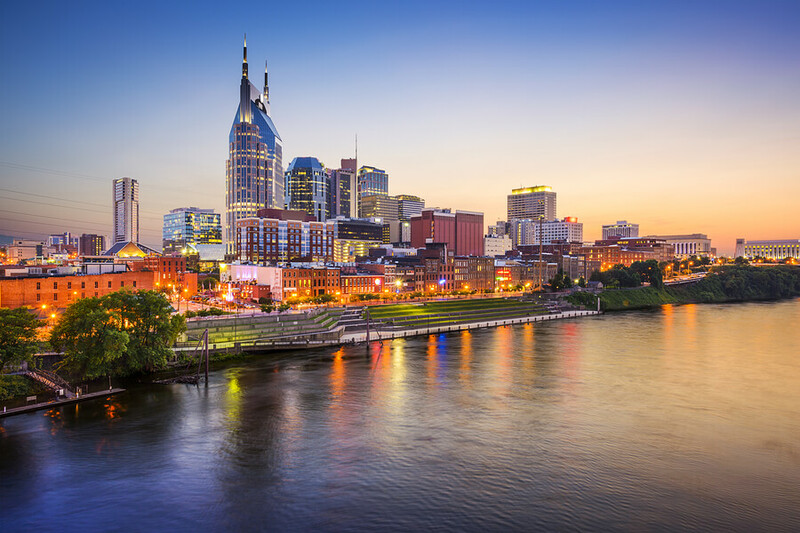 Like most major cities in the U.S., the Nashville real estate market is loaded with options and opportunities, from attached condos and townhouses to arguably the most diverse mixture of single-family homes you’ll find anywhere. Charming little bungalows fill out the neighborhood landscape around places like Green Hills and Belmont-Hillsboro, while stunning historic homes of all shapes and sizes help define other Nashville communities like Sylvan Park, Belle Meade, and 12 South. Regardless of your lifestyle preferences, budget, or individual needs or wants in a new home, we’re here to help you accomplish all your goals and ultimately conquer the Nashville real estate market once-and-for-all—so if you’re looking to buy or sell a home in Nashville, give us a call at your earliest convenience to see how we can help make that dream become a reality! What makes working in the real estate industry fun is that every individual home buyer is looking for something different. While one buyer may only be searching condos for sale in downtown Nashville, another buyer may prefer to live in a gorgeous single-family home somewhere out in Nashville’s suburbs. Regardless of what it is you’re looking for during a home search, our team of experienced and qualified real estate professionals are ready to go to work for you immediately. And not only will we be there for the “hunt” so-to-speak, but we’re also be there every step of the way to guide you through the complexities of buying or selling a home on today’s Nashville real estate market!